From Preface to Troilus and Cressida, John Dryden, 1679. In this age literary models were provided by the ancients. Emulation of the works of the classics of ancient, Greece and Rome reached its height. For this reason, the writers of this period are generally called ‘neoclassicists’ or’Augustans’. In their work they tried to achieve the clarity, simplicity, and restraint of the writing of the Augustan period (27 B.C.-A.D. 14), best exemplified by Virgil, Horace, and Ovid, as opposed to the earlier, more florid style of Cicero (106-4:3 B.C. ), which had greatly inspired the Elizabethans. The concern of Augustan writers was to understand things and express them plainly. They believed that reason would hold society together. Discoveries and theories were thought to demonstrate that the universe was controlled by a balanced intelligence, and that the exercise of reason consequently brought man nearer to God. In all areas of life, reason and common sense were accepted as the only reliable tests of truth. To writers such as Edmund Burke, and Samuel Johnson, England appeared to be the best country possible in an imperfect world. This optimism about England derived from political stability at home, an expanding colonial empire abroad and technological and scientific progress. That is not to say that everybody was confidently optimistic. The men who were least content were those who believed that reason should impose order on an otherwise chaotic world. Their weapon against illogicality, injustice, stupidity and vulgarity was satire. Alexander Pope (1688-1744), in poetry, Jonathan Swift (1667-1745), in prose, and William Hogarth (1697-1764), in painting, criticized bad taste, the cult of money of the new social classes and the corruption of the aristocracy and the political parties. In 1644 Milton produced his Areopagitica, where showing himself ready to attack his own government when freedom of thought seemed to be in danger, he addressed an oration to the Parliament in support of the freedom of speech and of press. Building on the tradition that had taken root in the second half of the 17th century, the 18th century was a great age for prose. It developed prose genres like biographies, essays and diaries, while periodicals provided stimulating reading matter for the wider reading public, mostly middle class, which was both literate and able to afford newspapers. The turning point of English journalism came with The Review (1704-1713) a three weekly periodical edited and almost entirely written by Daniel Defoe. Following Defoe’s example, Sir Richard Steele (16721729) and Joseph Addison (1672-1719) published the Tatler and The Spectator. The prose form which was perfectly suited to journals and magazines was the essay, a short non fiction work in which the writer presented his arguments or opinions about a variety of topics in a lively and witty manner. This genre was brought to a rare level of perfection by writers like Addison, Steele and Samuel Johnson. The publication of the Tatler and The Spectator met the demand for information about a wide range of topics with the periodical essay. Greatly admired and imitated in Britain, these periodical essays became popular in the rest of Europe. In Italy, the writer Giuseppe Baretti (1719-1789), after a long stay in London, modelled his periodical La Frusta Letteraria on the English essays. This period also saw the rise of another new literary genre, the modern novel. In its social origins, the novel followed the rise in importance of the middle class in the 18th century. This new reading public provided a new and large audience with a distinctive set of interests and attitudes to life. As their lives were dependent on their individual efforts to get on in the world, both socially and economically, the middle classes were interested in the portrayal of the progress of individuals through society and their achievement in a social context. It may be said that the novel came into being to satisfy the needs of the middle class reader who demanded original stories describing the ordinary experiences of people like themselves, with ordinary, everyday names like their own: Toni Jones, Robinson Crusoe, Moll Flanders. Besides, it was in the novel that middle class readers found the themes and subjects closest to their hearts: trade and success (Robinson Crusoe); marriage, money and respectability (Moll Flanders); inheritance and justice (Tom Jones). It was in the novel that the middle Class could finally hear voices like their own. The telling of stories is the oldest of arts and ever since its earlier stages it must have taken two forms: one brief and recounted on a single occasion, hence the emergence of the fairy tale, the folk ballad etc. ; the other longer and more complex, hence the saga, the epic, the novel. The history of the novel begins in the same period as the history of journalism and several reasons combine to explain this phenomenon: the increasing in power, prosperity and influence of a decent commercial class and its practical interest in reading something written in a simple language, easy to understand and dealing with familiar happenings. The new class was less interested in heroic exploits than in people with whom it could identify itself, thus giving way to that phenomenon which is often described as the literary manifestation of modern social complexity. Finally, another reason for the rise of the novel is implicitly found in the intellectual climate of the eighteenth century and in the influence of scientific activity, which, while developing a plainer new style in prose, fostered a new rational and realistic attitude in literature. Not only newspapers and magazines contributed to the education of the middle class, clubs and coffee-houses also played an important role. Shortly after the introduction of coffee into England from the East in the 17th century, ‘coffee-houses’ were opened as places of social meetings, and became the centres of culture and entertainment. People went there not just to drink coffee, tea, or chocolate, but to comment, discuss and criticise current issues. It was in this context that concepts such as refinement, wit and decorum developed. Both in society and literature, decorum represented an ideal set of rules based on decency and proportion: doing the right thing in the right way. Therefore extremes of all kinds – taste, fashion, opinions, ideas – were often targets of satire. A common target of satire, for example, was the ‘over-refined’ gentleman, the ‘beau’ who attached excessive importance to fashionable dress and trivial accessories like snuff boxes, wigs, watches, gloves, and canes. The age of journalism, as form of expression and communication of news and ideas, began in England with the first weekly magazine “A Current of General News”, published in 1622/23. Throughout the 17th century other magazines (“Mercurius Britannicus” was the most famous one) and, mainly, political pamphlets and moral tracts were published cheaply and distributed widely. These magazines opened the way to a fuller development of the periodicals, reviews and newspapers of the next century. The abolition of the Licensing Act in 1695 put an end to the heavy censorship that had previously prevailed to the detriment of free speech and press, and allowed journalists greater freedom to criticize and debate, although some forms of punishment such as fines, the pillory and even, sometimes, imprisonment, remained for libel towards the highest institutions, namely the Monarchy, Parliament and Church (in other European countries, censorship wasn’t abolished till 1848). As a matter of fact before the Revolution of 1688, all pamphlets and newsbooks had to pass the censor, but in 1695 – thanks mainly to John Locke’s arguments against it – Parliament refused to renew the “Licensing Act”, and the press was given the liberty to print whatever it pleased. Newspapers sprang up like mushrooms, satisfying the greed for news and scandals that the middle – class reading public openly showed. Almost every writer did not miss the opportunity to try his hand at being in one way or other engaged in the political, religious, social or literary controversies of the day. Daniel Defoe is in many ways considered the father of the modern periodical, purveying opinions more than news in “The Review” which he started publishing in 1704. 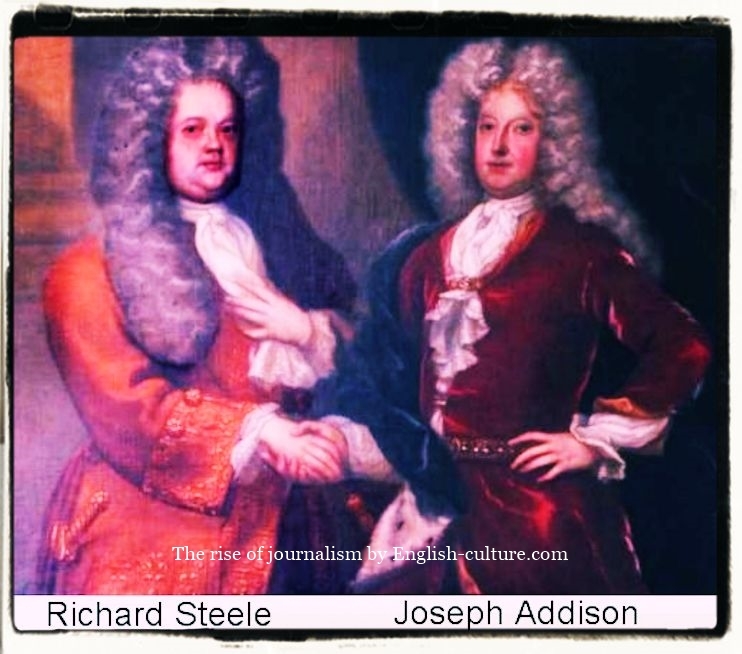 Defoe’s task was carried on and accomplished by Richard Steele (1672-1729) and Joseph Addison (1672-1719) two extremely famous literary collaborators. Their periodicals did not rely for their attraction on news of political happenings, being pleasant essays on practical and moral questions,, and reflecting the manners of the time by means of anecdotes of various kinds. In January 1709 Steele, following the hint given in Defoe’s “Review” founded and edited the periodical “The Tatler”, which consisted of a series of periodical essays aiming at giving both instruction and amusement. Some time later his friend and former schoolfellow Addison joined him and, in their writings, the two journalists attempted to improve manners, encourage tolerance in religion and politics, condemn fanaticism, and preach a sort of moderation in everything, including literary art. In January 1711 “The Tatler” came to an end and the two friends started “The Spectator” which appeared six times weekly and was more impartial in its political views. Here Addison came to his own and while Steele invented the set of characters and, together with Addison, made up the complete framework; the latter carried on their different stories, becoming the detached “spectator” who judges calmly and serenely the various aspects of the social scene. Both writers did much to demonstrate that satire could be moral, gentle, humorous and highly interesting at the same time. Steele’s style is humorous but always on a moral and disciplined plane, sometimes tinged with sentimentality; Addison’s is more classical and scholarly learned. Daniel Defoe from 1704 to 1713; Jonathan Swift published “The Examiner“ from 1710 to 1711. Later, also Samuel Richardson and Henry Fielding contributed to newspapers. 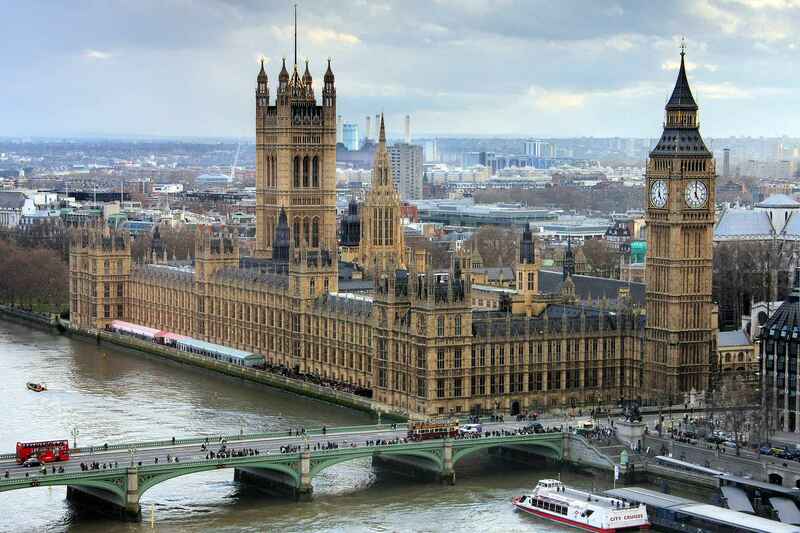 In the first part of the 18th century, called the “Augustan Age”, England enjoyed internal stability and prosperity after the wars and strife of the previous century. The technological progress in the field of industry and agriculture, the expanding colonial empire, the flourishing economy and trade, made of England not only a leading political and commercial country, but the greatest economic power in the world. The new middle class who had created the wealth of the country consisted mainly of traders, merchants, entrepreneurs, bankers and other professional men: they were constituted by a large and wealthy merchant and manufacturing class in the towns and big landowners in the country: they were growing in both power and prestige. There was also a new lower middle class composed by shopkeepers, craftsmen, richer farmers, workers in the fields of administration and commerce who could write and read. Now these middle-class people developed an interest for education and for news. The increased literacy caused journalism to boom, with a proliferation of newspapers and periodicals, which became very popular both with upper and middle classes. Thanks to the growth of the reading public, among whom also women, the writers of this time started to break free from the patrons and become professional; their employers were now the publishers and booksellers. Since it was this middle class who bought books and other publications, culture began to be identified with the middle class, whose tastes and needs the writers tried to meet. The Augustan Age was also called, from a literary point of view, the Age of Prose (see for instance ”The dictionary of the English language” by Samuel Johnson, who also wrote several essays for The Idler and The Rambler). Moreover, the novel and the periodicals were addressed to the same readers and expressed the same bourgeois values and ideals. The gazettes began to appear in Italy at the beginning of the XVII century, but saw their greatest spreading period only in the XVIII century. In fact the first gazette came out in Florence on 1636. The publication of journals in Italy was in a first time supported by princes and governors, who needed to involve in their reformist projects all the most important social and economical classes and used them to spread politically manipulated news. In a second time gazettes became the means through which liberal and revolutionary ideas could circulate also “to affecting governors’ and tyrants’ power”, as Matteo Galdi, a journalist of that period, writes about the purpose of periodicals. But the literary journalism born in Rome in the 1668 with the periodical Il Giornale dei Letterati developed and also enriched successively by Venetian authors as Aldo Manuzio, Zeno, Scipione Moffei and Antonio Vallisnieri, who founded also another magazine named Giornale dei Letterati d’ Italia. The strucutre of the Italian periodicals It’s the result of a work of connection between experts who underlined the importance of some books and extensors who wrote the articles which dealt with history, theology, science and law. Goldoni is the most illuminist writer of the Italian literary background and spread through his works, above all comedy, moral and social critics and opinions, as in England made The Tatler and The Spectator. The very first writer who imitated and developed “The Spectator” journal model was Gaspare Gozzi with his Gazzetta Veneta which had his coming out two times a week from 1760 to 1762, made up above all by short tales and letters from imaginary and real readers. In the 1763 the Gazzetta Veneta was replaced by La Frusta Letteraria created by Giuseppe Baretti, who attacked, through the character of Aristarco Scannabue, the political authority provoking his expulsion from Venezia. It was said of Socrates, that he brought philosophy down from heaven to inhabit among men; and I shall be ambitious to have it said of me that I have brought philosophy out of closets and libraries, schools and colleges, to dwell in clubs and assemblies, at tea-tables and in coffee-houses.’ Satire, however, appealed to more sophisticated and cultivated readers. Satirists like Jonathan Swift and Alexander Pope drew on classical literature to write ironic or mock-heroic works in prose and poetry, criticising political corruption, religious views and social conventions. The playwright John Gay (1685-17:32), in The Beggar’s Opera (1728), parodied the new fashion for Italian opera, and by using an interplay of speech and song he anticipated English comic opera and the modern musical. In this work he satirized the politicians of the time by comparing them to criminals. When drama came back to England after its suppression between 1642 and 1660, it was very different front Elizabethan and Jacobean drama. The gay, immoral world of the aristocracy was pictured by the comedy of manners, a type of play influenced by the comedies of Molière (pen name of Jean-Baptiste Poquelin, 1622-1637), French playwright, actor, and theatrical manager, author of farces and comedies of manners. Plays like William Congreve’s The Way of the World (1700) derided the hypocrisy and licentiousness of society, and were a clear sign of break with the Puritan spirit. No genre embodies the Augustan stereotype of formal perfection and emotional control as clearly as poetry. The foremost poet, Alexander Pope, displayed great technical perfection, which he employed to express ideas that are often marvellous common sense. What makes them extraordinary is his technical ability. Popes preferred poetic form was t lie heroic rhyming couplet, and his skill in producing striking rhymes was what often made his points so memorable. Proof of this ability is that, once learned, some couplets, like the following, are impossible to forget. Pope’s work was written for cultured readers. It is always erudite, rational and gracious, which makes it a formidable weapon for piercing the pretensions and vanities of his age. 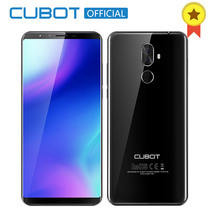 However, in the second half of the century a new sensibility emerged in poetry, especially in the poems of William Collins (1721-1759) and Thomas Gray (17161771). This signalled a departure from the conventions of Classicism and anticipated a search for new models of poetry and new poetic themes.